Bathed in a golden hue by its streaming solid rocket boosters, the Space Shuttle Columbia resembles a golden orb suspended under a canopy of blue and white as it hurtles skyward from Launch Pad 39B. 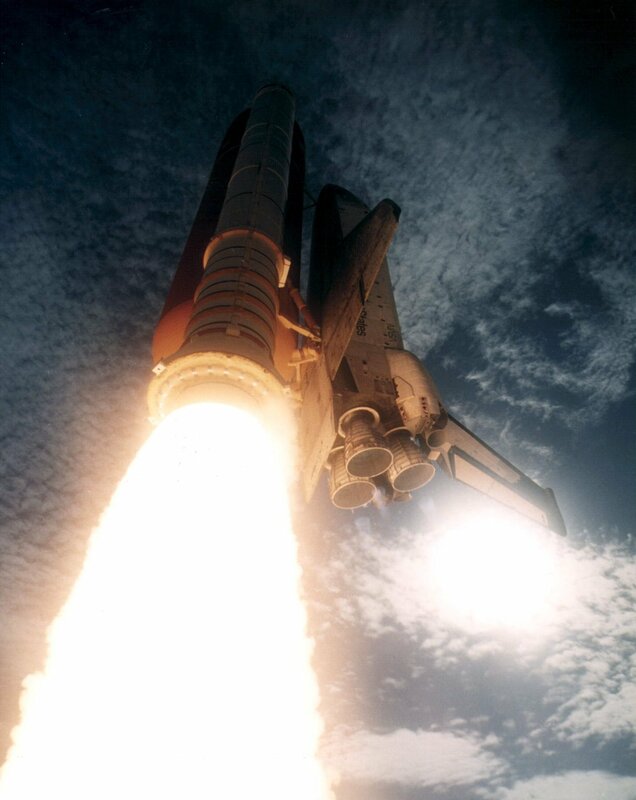 Liftoff of the 72nd Shuttle mission occurred at 9:53:00 a.m. EDT, October 20, 1995. A crew of seven are on board, ready to go to work on the primary payload of the mission, the U.S. Microgravity Laboratory-2 (USML-2).